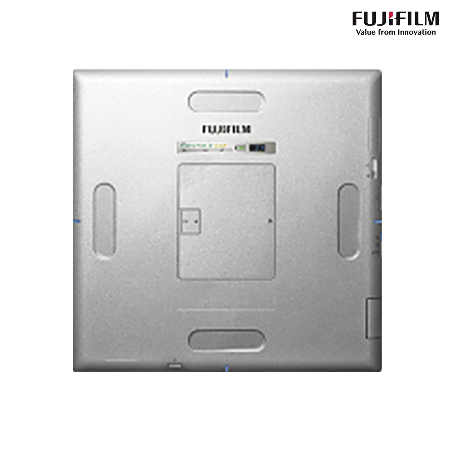 Be Smart – Fujifilm DR detector technology has evolved to be smart. Smart use of dose. Smart image processing. 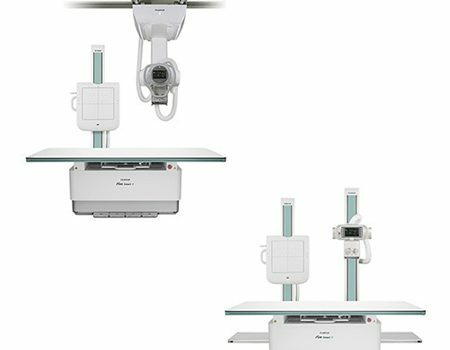 Smart construction to withstand tough clinical environments. 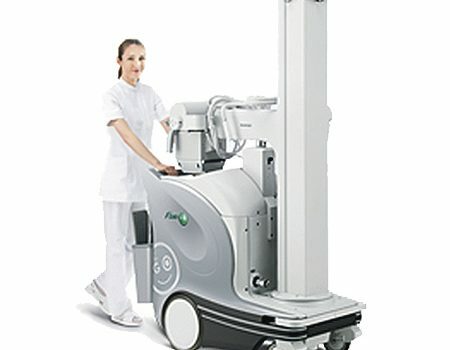 Smart design for easier technologist handling and patient positioning. The shell design, with its curved sides, allows for easier insertion into patient beds. The easy-to-grasp shape allows for easy pick up even when placed flat, improving task efficiency. Equipped with LEDs at the center of each of the four sides of the detector that makes it easy to check the center position during imaging. Select from five colors (blue, pink, orange, lime-yellow, and purple) that make it easier to distinguish devices when using multiple detectors. In sleep mode, the side-center LEDs switch to a gentle flashing pattern that allows you to see the state of the detector at a glance. The sleep mode provides a maximum 7.5 hours of standby time, whereas the newly added extra sleep mode provides up to 18.5 hours of standby time.In sleep mode, the center LED on the side of the detector flashes slowly to indicate the detector status at a glance. The back of the detector is equipped with an LED lamp that displays remaining battery status. This allows easy checks of remaining battery, and eliminates worries when using the detector. The docking stand works together with the console to display the detector’s “Ready” status and identify color using the LEDs. This makes it easy to check the current state of the detector even from far away.